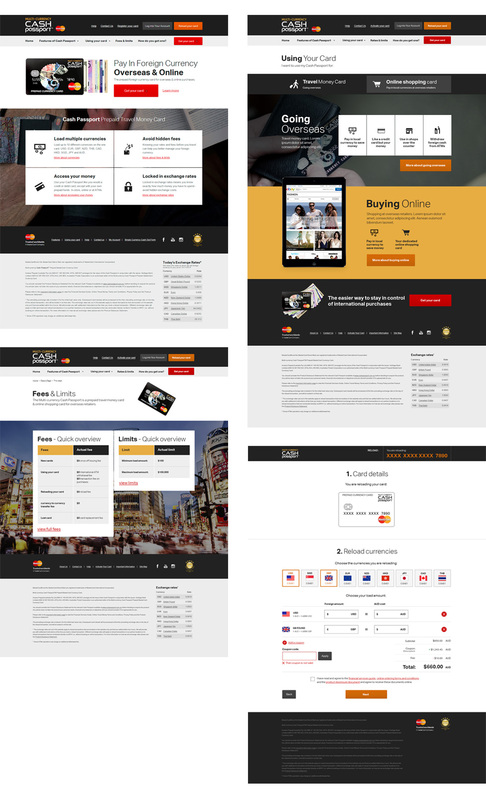 The world’s leading multi-currency card, online. In a world where everything is closer together than ever before, pulled together by commerce, technology and fast, inexpensive air travel, one thing remains as distant and diverse as it was a hundred years ago. Currency, or more specifically, foreign currency. We still have the US Dollar and the Yen and the Pound. And the Bhat and the Kroner and our own, Aussie Dollar. It’s why credit card companies and banks are so rich. And sure, it is true that you can buy foreign currencies for travel, though this is inconvenient and means you’re walking around with wads of cash. And of course, cash can’t be used for shopping overseas, online. Yes, foreign currency and foreign exchange is a drag. An old-world drag. The MasterCard Cash Passport is from the new world. The new world pulled together by commerce, technology and fast, inexpensive air travel. 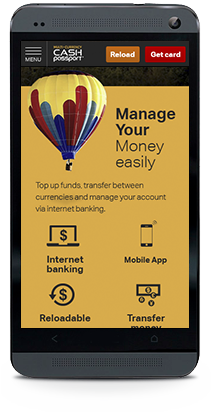 It allows you to purchase, manage and pay with eleven concurrent currencies, whether you’re using the Cash Passport for shoe shopping whilst in London, or buying tickets online for the Yankees vs the Mets at Yankee Stadium. A once-off conversion fee, pay in the local currency, no commissions, bank fees or even ATM fees. Chip and pin so it’s secure and supported anywhere that MasterCard is. Very much the new world. Wiliam has worked with MasterCard (and previously Travelex) since 2009 on the development of the Cash Passport platform, growing the platform from a single-currency, single country platform into what is today, a global, multi-currency and mobile framework issuing and servicing thousands and thousands of cards every day. The Cash Passport is built to onerous and best practice standards; banking platforms need the sort of security around them you would imagine. 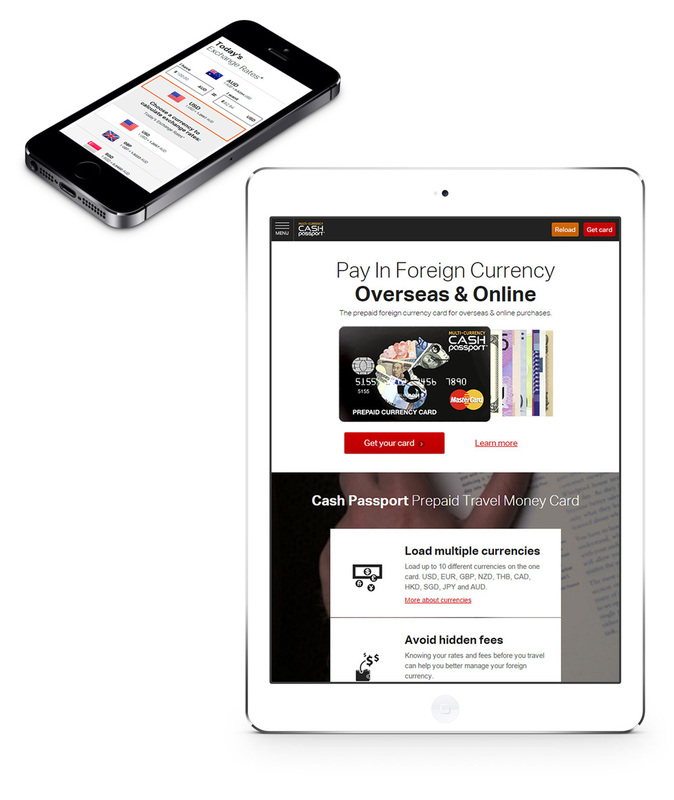 Technology and robustness aside, where Cash Passport really excels is at the customer level: the user experience level. Supported by analytics and ongoing user research, Cash Passport continues to improve, with improved user experience delivering improved commercial performance, month on month. 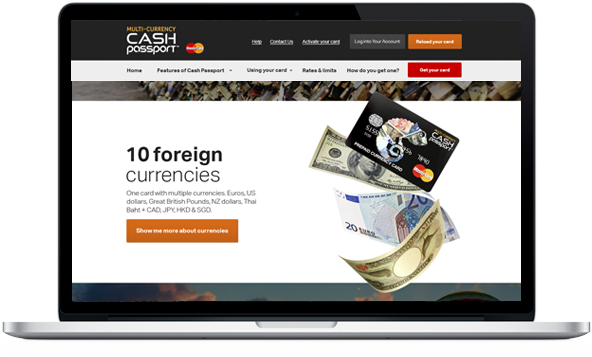 The Cash Passport website and framework is a testament to what can be achieved through a strong partnership, hard work and focus. An outcome, possibly as good as the physical card product they sell. Since partnering with Wiliam well over 5 years ago, our online sales channel has grown to become one of our fastest growing, most profitable channels available. We partner with Wiliam because of their in-depth knowledge of eCommerce and how to drive sales online. Anyone can make something pretty, Wiliam make it sell.